The rainbow flag, a universal symbol of gay pride, will fly outside Newark City Hall for the duration of our #PowerInPride celebration. The city has made a firm commitment to supporting the needs and equality of the LGBTQ community, please come out and join us for this annual event that kicks off Newark Gay Pride. You could be the next contestant..."come on down"! *in our Price Is Right voice* We invite you to join our youth LGBTQ game show highlighting Newark's LGBTQ narrative. 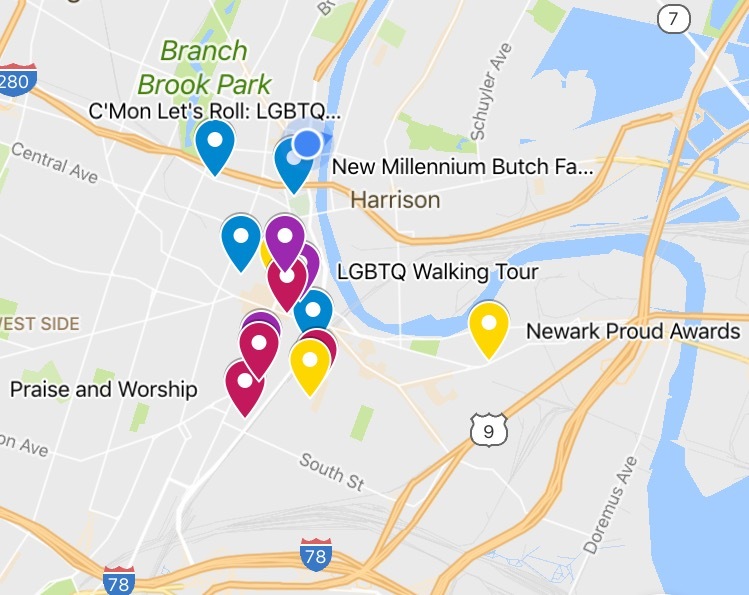 Join Newark Gay Pride and Newark's LGBT Community celebrate the 2017 Power In Pride Festival and the Power In Pride Bar Crawl! This is a WALKING bar crawl and we will be wind through 4 bars in Newark's Ironbound neighborhood - with free appetizers or drink offered at each. We'll spend about an hour at each bar and end the night with a dance party! How can comic book companies manage diversity and representation in their characters and make it effective for readers and sales? Mark your calendars and reserve your tickets today -- join us as we celebrate #PowerInPride in the City of Newark. Enjoy one brunch entree, two breakfast cocktails and live entertainment for just $35/pp. Parade is the buzzword for Newark Gay Pride, as it kicks off our annual and much anticipated Festival in the Park. This march is a time to demonstrate our commitment to nurture and build a new tomorrow, united for equality and justice...rooted in love. Click the image to view interactive map.